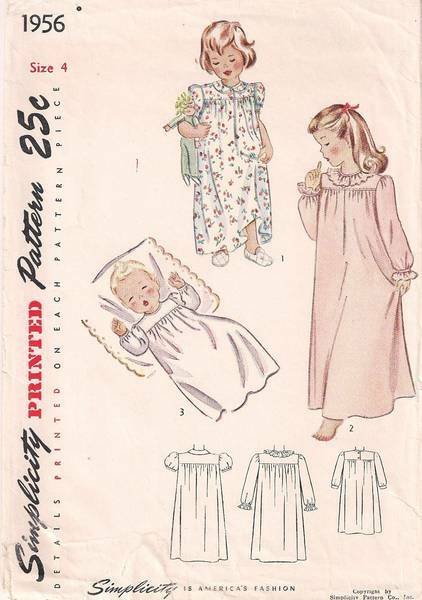 Vintage Simplicity sewing pattern 1956. Front and back of nightgown are gathered to yoke. Front or back yoke button closing. 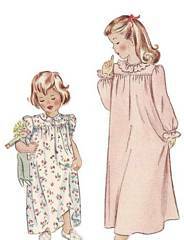 Neckline may be finished with Peter Pan collar, ruffle or binding. Short or long sleeves may be finished with wristband or binding and ruffle.